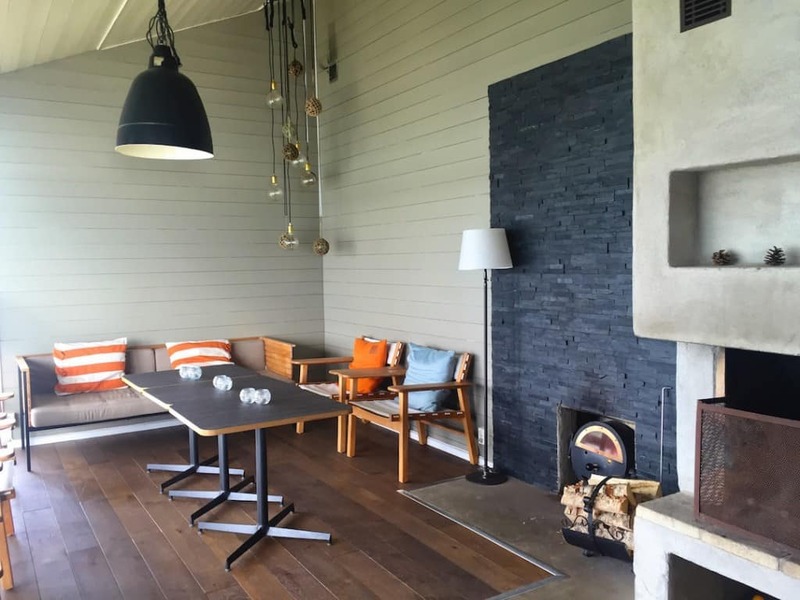 Djurönäset, a 4-star hotel in the spectacular Stockholm archipelago, delivered an experience that epitomized the luxury of simplicity. Disclosure: We were the guests of Djurönäset for this experience in conjunction with TBEX Europe, Visit Stockholm and Visit Sweden. For many travelers, luxury equates to lavish opulence. Along with this can come overwhelm, though, as glittery excess adds notes of tension. When we do encounter a destination or service which delivers the luxury of simplicity in a calm and confident way, we find the experience remarkable. 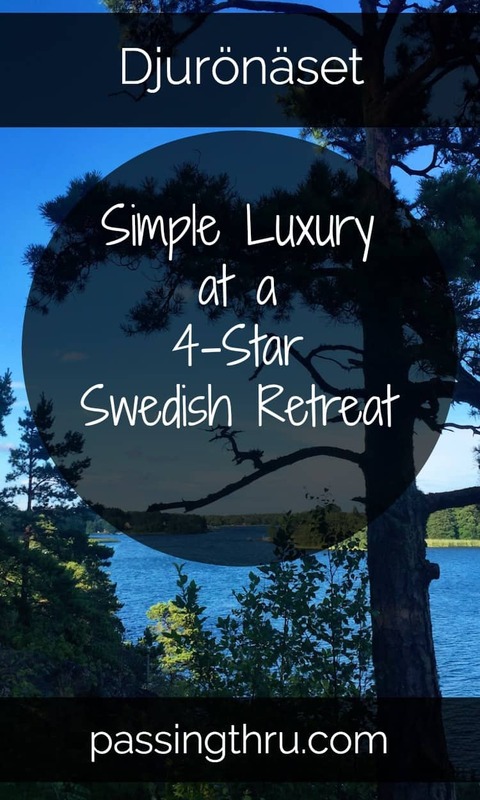 Such was the case recently, during an all-too-short 24 hours at Djurönäset, a 4-star hotel and conference center in a spectacular setting on the Stockholm archipelago just outside Sweden’s capital city. 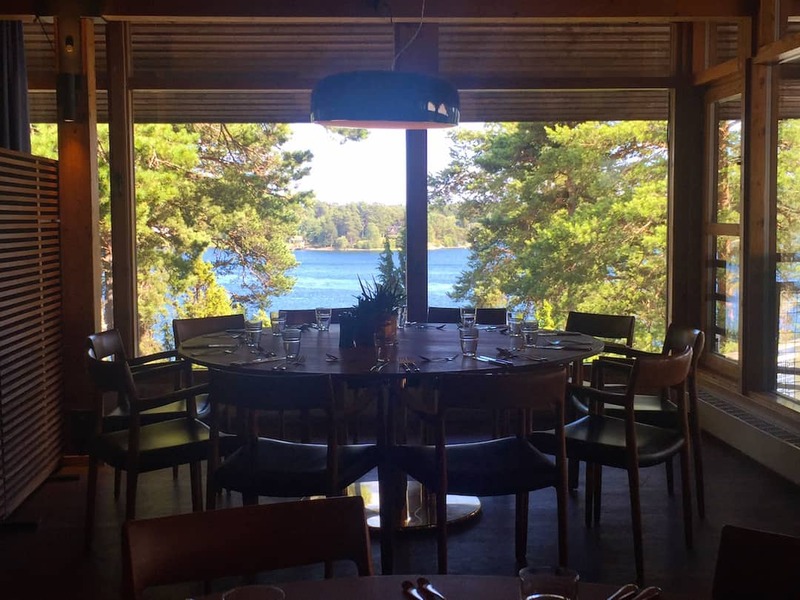 In 1978, Djurönäset was conceived as a first class conference environment for corporate retreats, meetings and education among the natural surroundings of the Stockholm archipelago. The hotel was designed and built in accordance with a local mandate that it not be visible from the road, sky or sea. The restraint with which architect Anders Thalberg of White Arkitekterna conceptualized “Frisk luft” (“fresh air”) resulted in a winning competition entry. Thalberg made room for the meaningful by carefully editing his timeless design with mindful wisdom. The Djurönäset complex consists of low-slung wood and stone buildings which have lots of glass to pull natural elements in as part of the design’s graceful beauty. 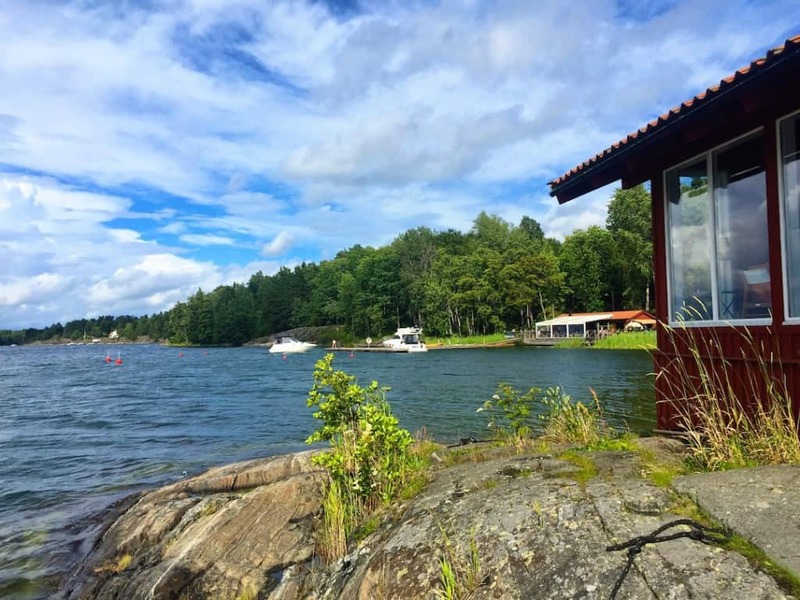 Perched on the archipelago’s rocky outcroppings with magnificent views of Baltic inlets and channels, Djurönäset’s relaxing environment is surrounded by water on 3 sides. 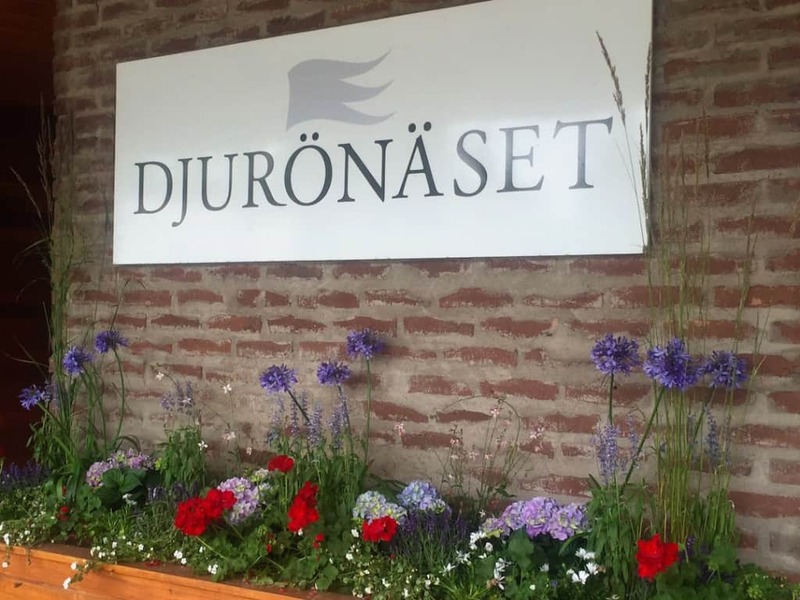 Djurönäset is classified as “Superior” with 4 stars from both Svenska Möten Conference Hotel Group and Visita in the Swedish hospitality industry. 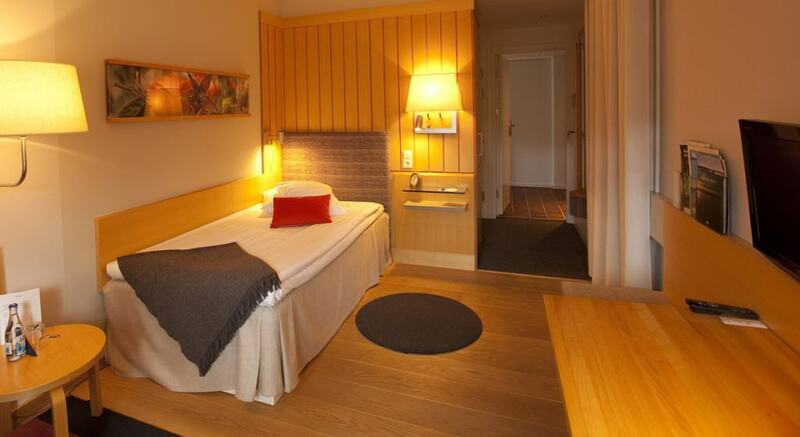 In 2001, Djurönäset became a Nordi Eco labeled hotel, and in 2008, it was given a “Premium” security grade by SAFE Hotels Alliance. 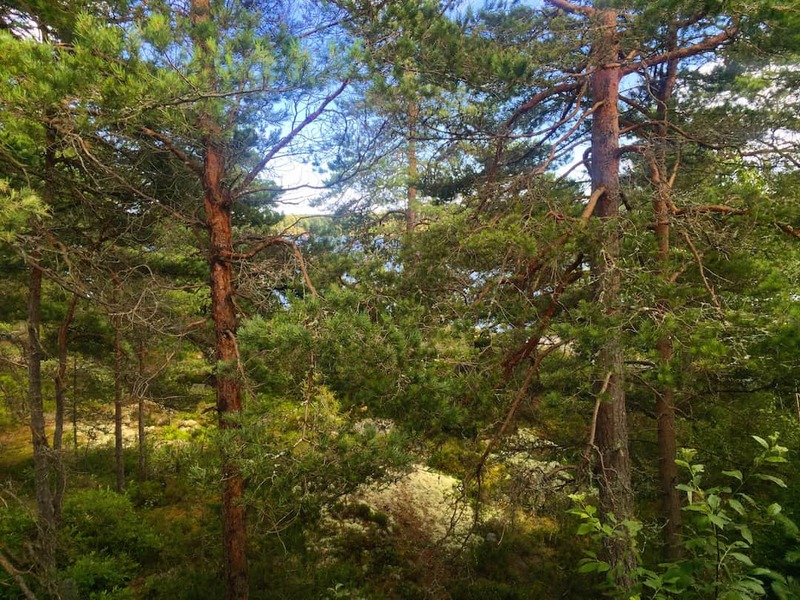 Having free time to relax and just “be” in a natural environment such as Djurönäset’s has beneficial physical effects. In this way, the luxury of simplicity translates into making room for creativity and mental well-being. Upon arrival, we found ourselves wanting to breathe slowly and deeply, to drink the air into our lungs. This was no accident, Pia af Rolén, Djurönäset’s Marketing Executive, explained. Fresh air lowers blood pressure and stress hormones. Djurönäset was having its intended effect. It was easy to see why the conference center is so popular with companies who recognize the value of having time to think and connect, and appreciate the zen of retreat in order to expand. Our group’s mood lightened as we realized we had no immediate obligations other than showing up for our first meal. 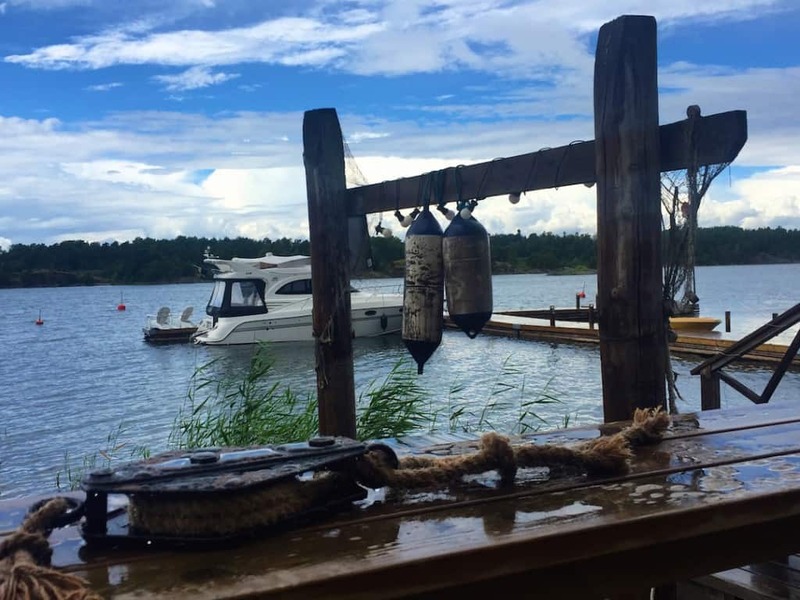 The individual minutes began to slow into a relaxing cadence as we were ushered into Djurönäset’s waterside restaurant, The Boat House Sjoböden. 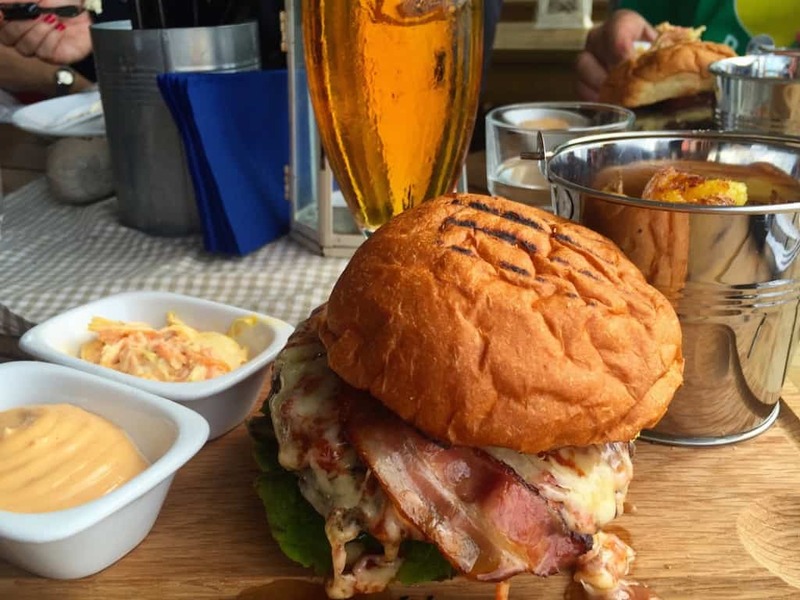 Delicious burgers came out on a board, each with a bucket of tasty fries. Refreshing beer quenched our thirst as cheerful chatter ebbed and flowed. 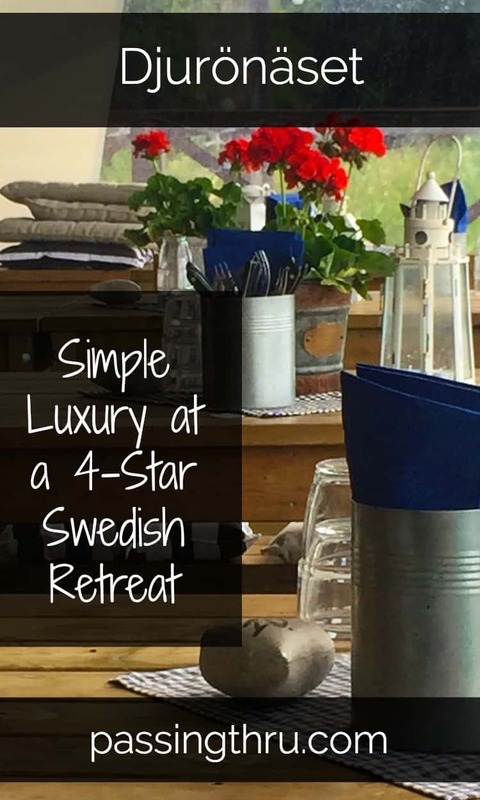 Sjoböden’s rustic elegance personified the luxury of simplicity we were to encounter throughout our stay. Any vestiges of overwhelm we might have had due to outside sources subsided. 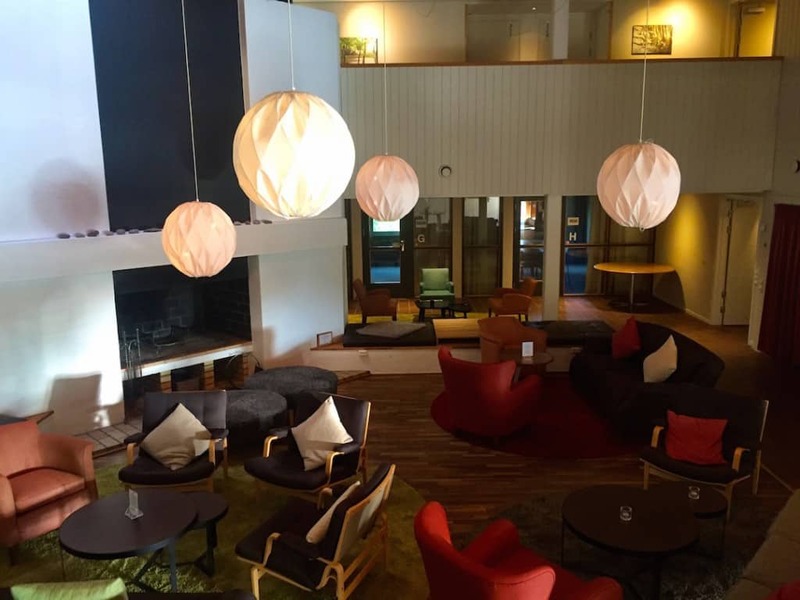 Djurönäset can accommodate over 550 guests in more than 270 rooms and one larger suite building, making it one of the largest conference facilities in Sweden. The rooms are clustered into eight buildings, each with 35 rooms. Common areas in our building included a two story living area with huge fireplace, a marvelous kitchen space for morning coffee or snacks, and a cozy sunroom, perfect for reading or conversation. The luxury of simplicity was born out in the individual sleeping rooms, as well. Given room keys, our group dispersed throughout the house. Each of us was in a single room. At first glance, the rooms seemed rather ascetic, but it was soon evident that each element had been selected with care. My chair and side table were of simple Scandinavian contemporary design. Sinking into it, I opened my bottle of sparkling water and gazed out the window into the forest. 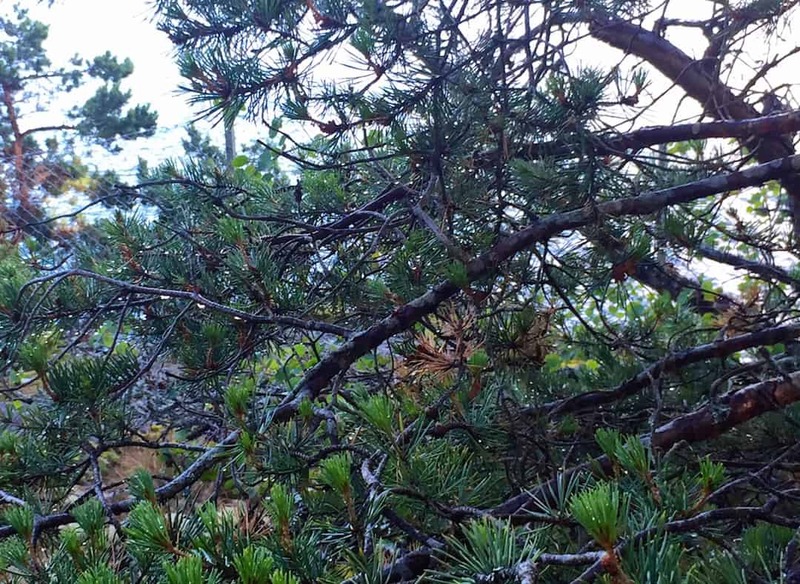 The only sound was the wind through the pines and the birds in the branches. Djurönäset believes it’s imperative that you emerge from your room and its larger house to partake of amenities throughout the resort. These are arranged not only in the main building, but in ancillary areas. 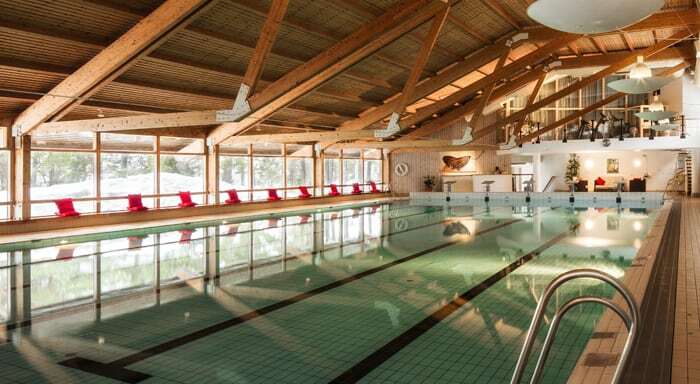 Choose from a sauna or open air hot tub at the water’s edge, stroll along the naturalist-designed woodland trails, jump in for a swim in the Baltic or the resort’s indoor pool. Kayak, canoe, row, or sail. Schedule a spa treatment or train hard on the tennis court or in the gym. Sit on a rock and listen to the forest, or sink into a deck chair and gaze at the water. After our submarine ride, we were famished. 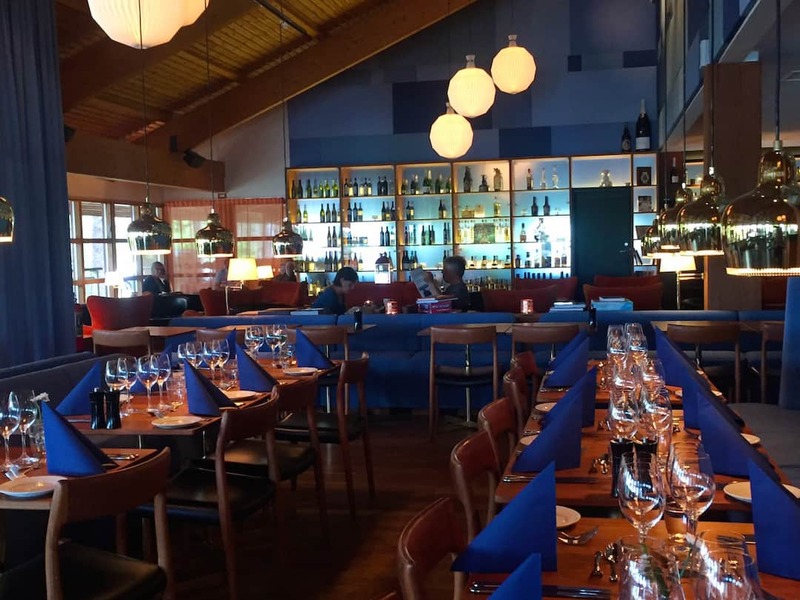 Our dinner was served in the main dining room, where we enjoyed a special tasting menu of Swedish-inspired specialties. Our favorites? 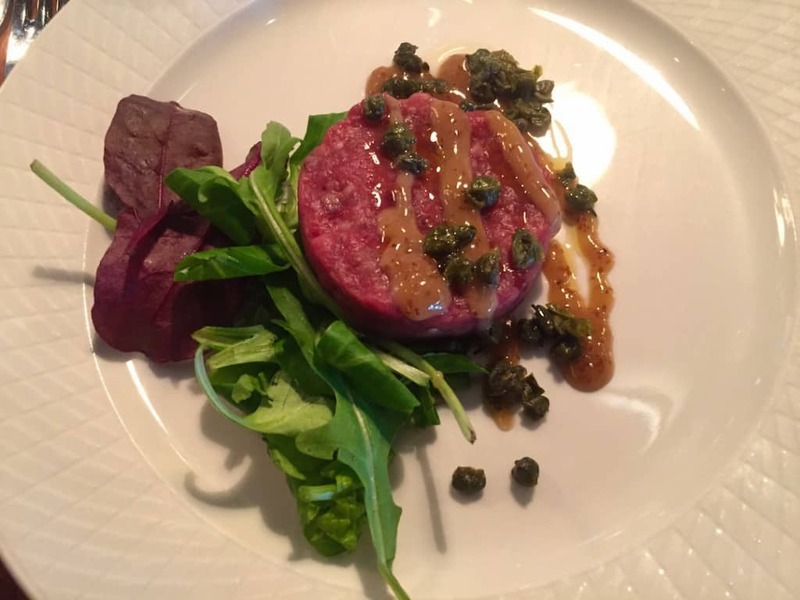 The beef tartare with fried capers and key lime pie with meringue and berries. Complementary wine selections were a lovely Alsatian pinot gris and a blended Italian red. We were sated. Back in my room, I noticed more luxuriously simple details. I realized the cozy wool throw draped on my simple single bed was of finely brushed nordic wool. The bed’s mattress was just the right balance between soft and firm. Sheets and pillow were smooth and cool. Birch, glass and granite elements mirrored the outdoors. Colors were neutral and calming. I decided to keep the window and drapes open despite the near midnight summer sunlight and slept serenely. Morning found most of our group lingering over breakfast in the main dining room, taking in the beautiful sea views. 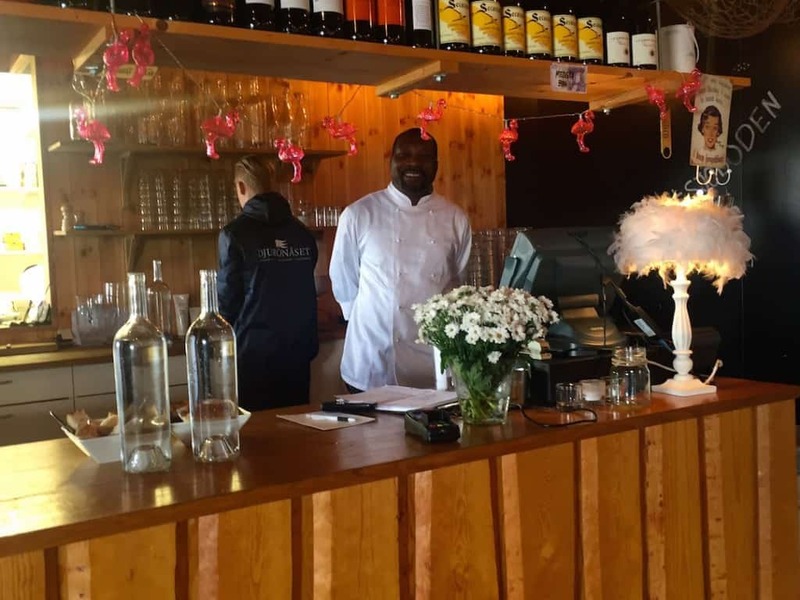 Breakfast at Djurönäset is a traditional smorgasbord of organic selections made from local ingredients including homemade bread, yogurt and signature muesli. 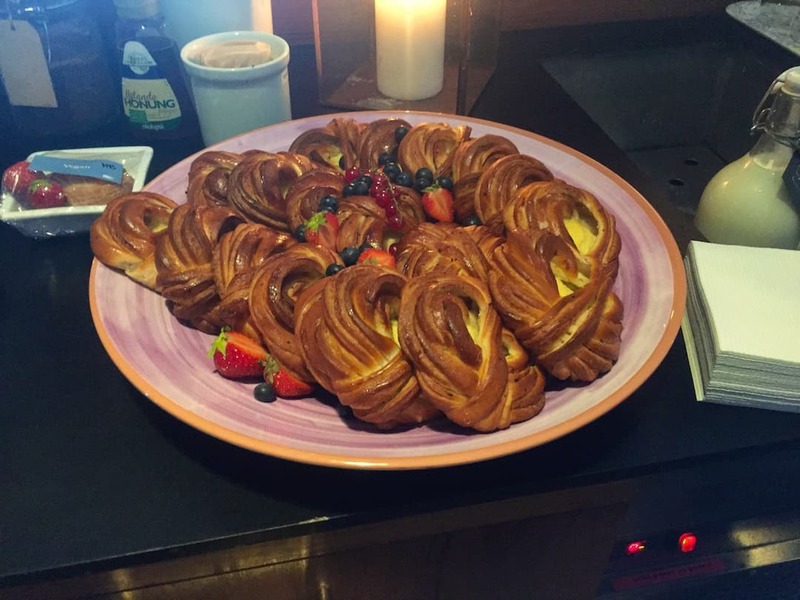 As if that weren’t enough, an hour or two later, we gathered for fika, the traditional Swedish break for coffee and a sweet, before heading back to Stockholm, relaxed and content. Practicalities: Djurönäset, Box 1, SE-139 02, Djurhamn. 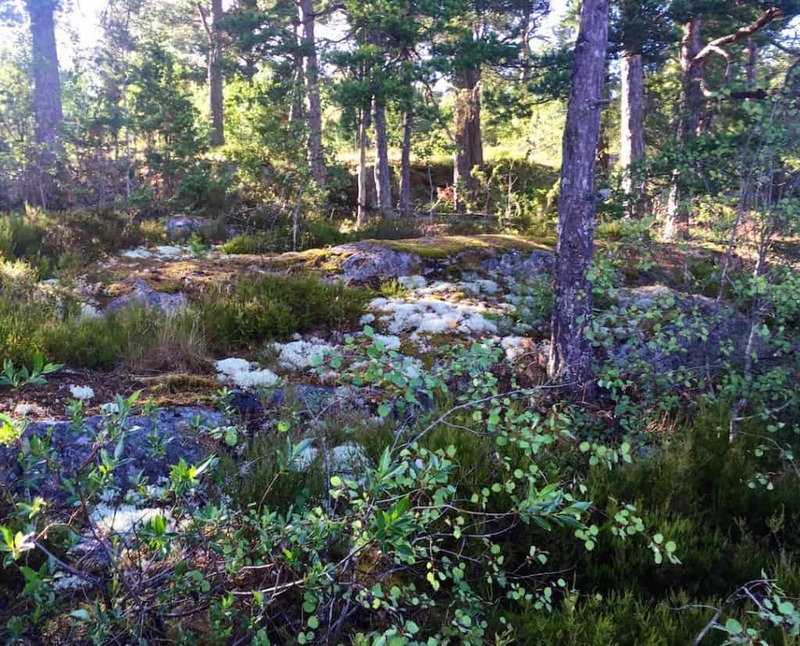 Location: Seregårdsvägen 1, 139 73, Djurhamn, Sweden. Tel. }+46(0)8-571 490 00. Email: info@djuronaset.com. Djurönäset is about 45 minutes east of Stockholm in Värmdö, on the Stockholm archipelago. Vacation packages include welcome afternoon tea, wellness activity, three course dinner, and organic breakfast buffet, as well as access to sauna, pool and gym. 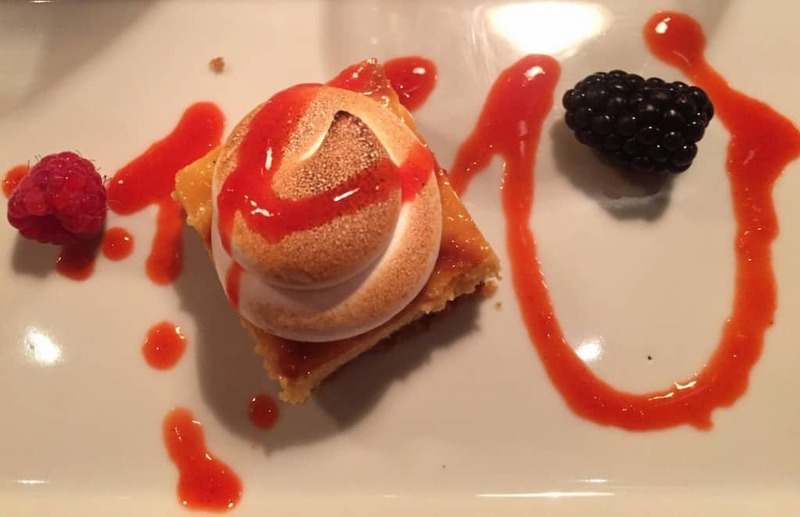 Archipelago themed weekend packages include different seasonal tasting menus. Spa packages include a choice of 25 minute spa treatments (appointments must be booked in advance). Conference packages com at standard, premium and budget rates. Corporate meeting and conference management services are available, and meeting facilities can accommodate groups of all sizes. For groups which require extra security and privacy, various secluded alternatives are available. 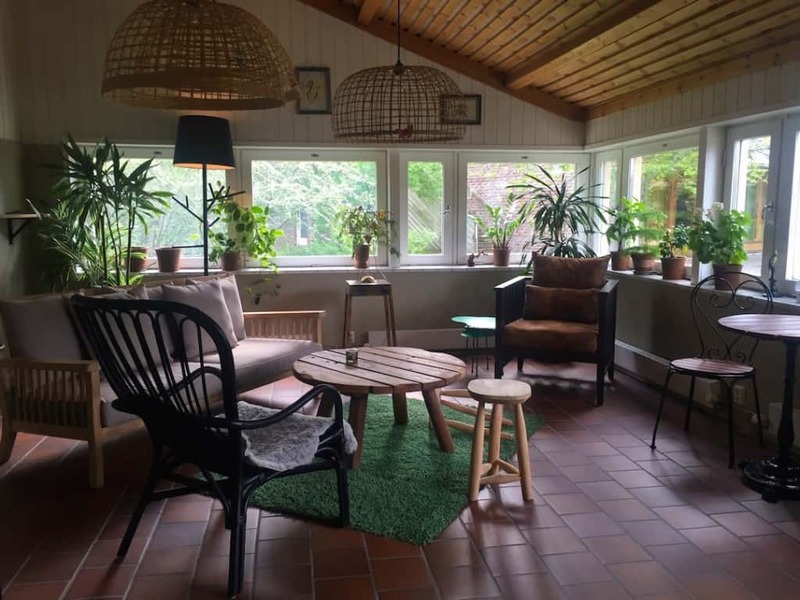 I love the tastefully decorated rooms and the Swedish organic appeal especially with the indoor/outdoor transitions and views. 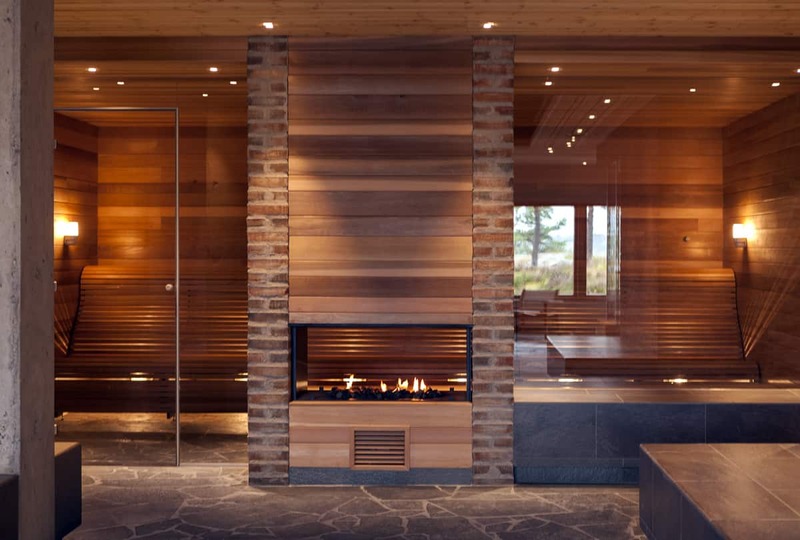 That sauna looks amazing! Wow great location, great food, what an amazing place to stay and enjoy. 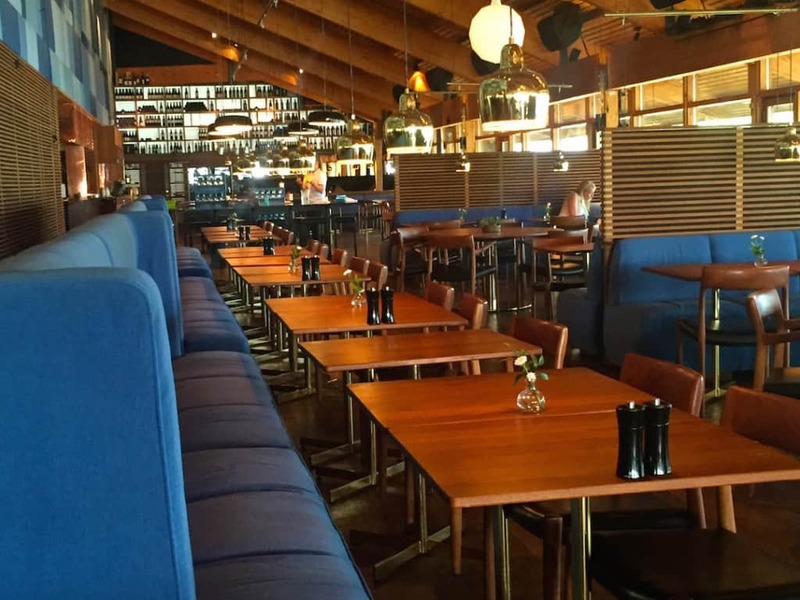 The entire place just screams Scandinavian. I love it, such simply, functional yet elegant surroundings certainly do make it look like a relaxing experience. My goodness, all those “frisk luft” activities sound tempting! 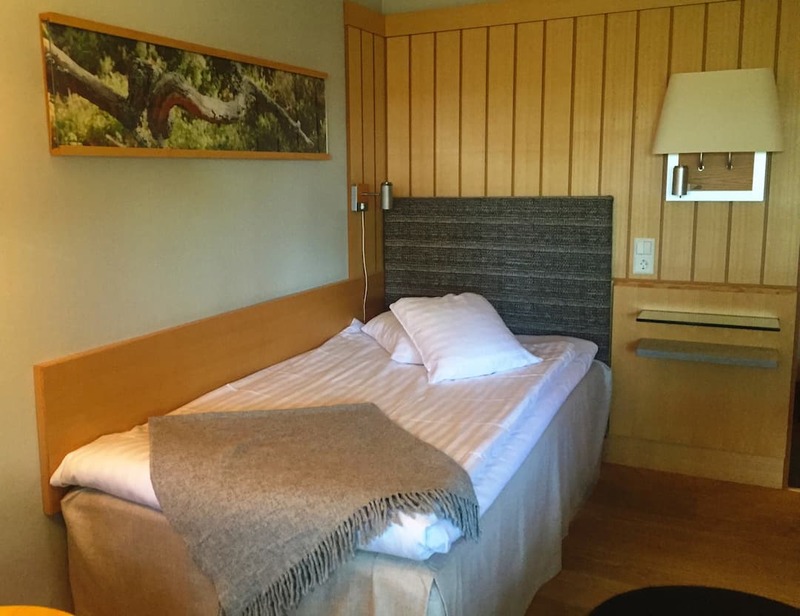 It would surely take more than a single overnight to make the most of a stay at Djurönäset, but then, anyone coming for a seminar would have that extra bit of time. Lucky them! 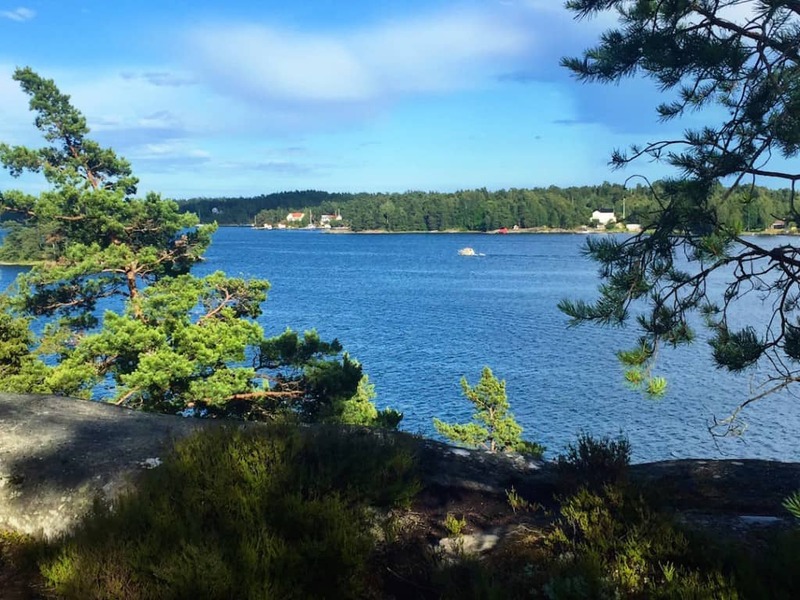 The Stockholm archipelago is stunningly beautiful . I’ll never forget sailing with my also 13y old girl friend all alone to the next shop to return afterwards to our little remote hut where her Swedish parents used to spend their summer holidays. Awesome! Looks like a wonderful setting for any kind of retreat!